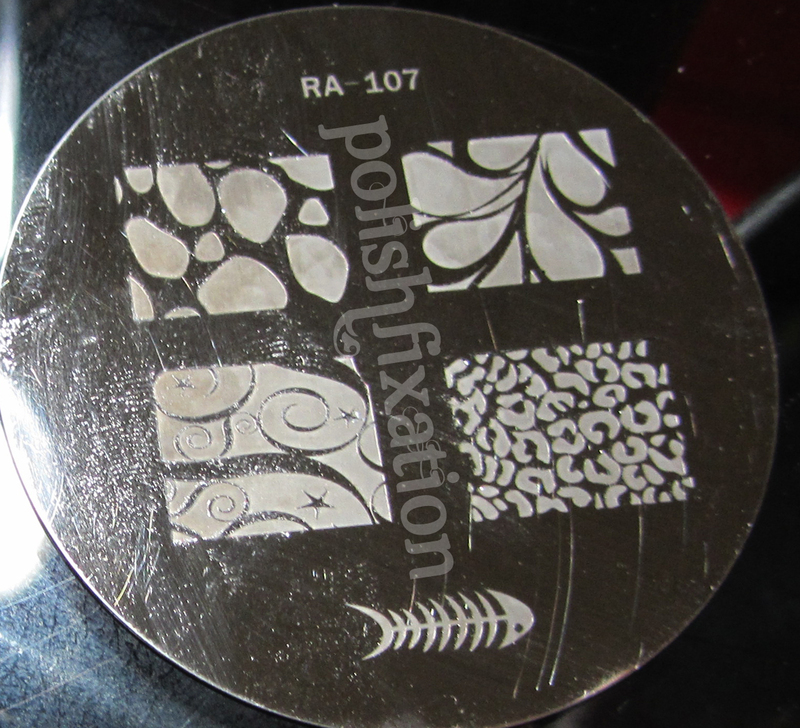 polish fixation: Partner Stamping Wednesday! Here I am with this week's installment of Partner Stamping Wednesday! 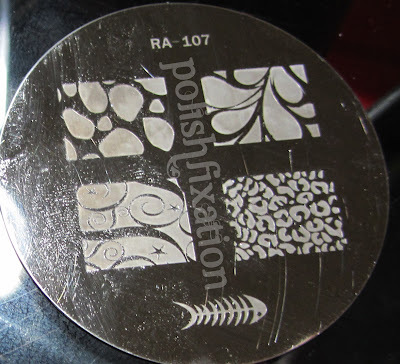 Jamie and I are using stamping plate RA-107 this week, from the Red Angel collection 1. 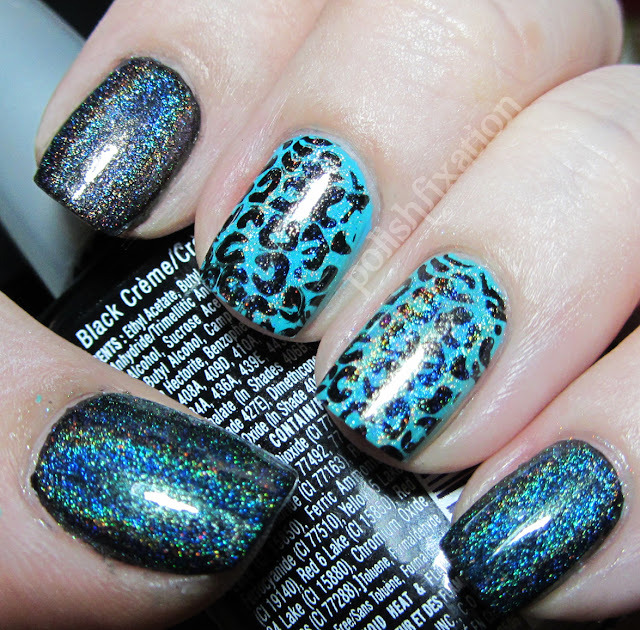 The colors I used were Brucci Gianna's Rockin' Blue and a black spectraflair polish I made myself. I put Hits Hera on top of the thumb and pinky as well. I then topped everything off with Hits Hefesto to make everything holo! This was super fun. I love animal print nails, I always remember that when I do them but then I forget to do them more often! I haven't had a holo wow me in a while but can I just say I am in love with the black holo! So pretty. Love the accent nails! I am so in love with this mani! So I'm looking for new stamping plates that actually fit my nails. I find most of the plates from the born pretty store do not cover my whole nail, since I have long nails. So do you think this brand of stamps would cover long nails? This is really awesome! 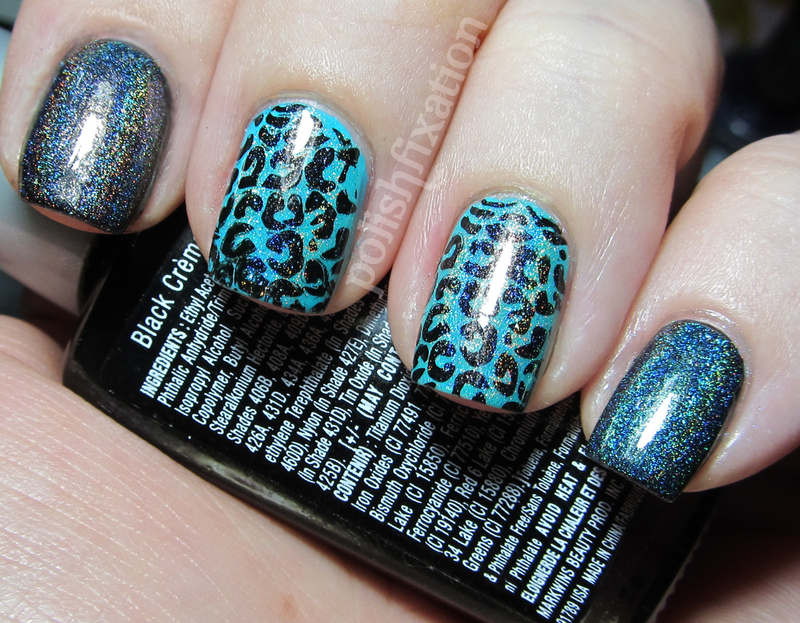 I love holos and I love when people play around with them instead of straight swatches!